Help with managing behaviour is one of the top topics parents tell us they want to have better information on, and support with. Cambridgeshire County Council offers some information and links on its website and runs parenting courses. To check for forthcoming parenting programmes and other courses and groups, visit the Pinpoint events page. And sign up to get our e-newsletter and events updates for the latest news. SEND Specialist Services – which works in schools and settings to support children with a range of Special Educational Needs and Disabilities and children who present with challenging behaviour – are rolling out Cambridgeshire Steps, a training programme which can be offered to parents, frontline staff in Children’s Services, setting and schools. The programme puts the emphasis on understanding behaviour rather than punishing it. SEND Specialist Services will act as a ‘hub’ with a Central Tutor Team who will provide support to in-school and parent trainers, specialist advice around individual children and young people and annual Tutor Refresher training. Pinpoint’s ADHD/ASD monthly groups at Histon, Huntingdon, Ely and Peterborough, also offer practical advice and support from visiting professionals . More about the ADHD/ASD groups. 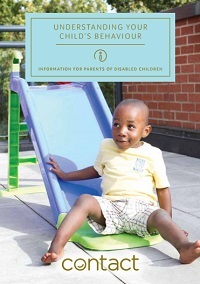 UK Charity Contact has a new booklet Understanding Your Child’s Behaviour. How to set the scene for good behaviour, recognising triggers and finding strategies. Managing specific issues, like tantrums or biting. Looking after yourself – people and organisations who can support you and your family. Puberty and the teenage years, plus much more. The CBF Family Support Team provides free information about challenging behaviour to anyone who provides unpaid support to someone with a severe learning disability. And can also signpost you to other specialist organisations and sources of information. You can book a call with a Family Support Worker for information and support about the needs of your family member with a severe learning disability: you will receive a call lasting up to 45 minutes at an agreed time. Support is confidential. 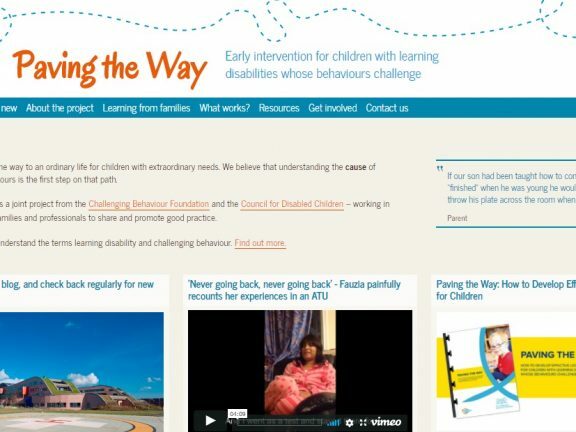 Paving the Way is a project set up by the Challenging Behaviour Foundation(CBF) and the Council for Disabled Children(CDC). The aim is to see better outcomes and a better quality of life for children with learning disabilities whose behaviour challenges. Also known as The Early Intervention Project, it’s been funded by the Department of Health through the Innovation, Excellence and Strategic Development Fund from 2013-16.
children and young people, professionals, commissioners and academic experts.